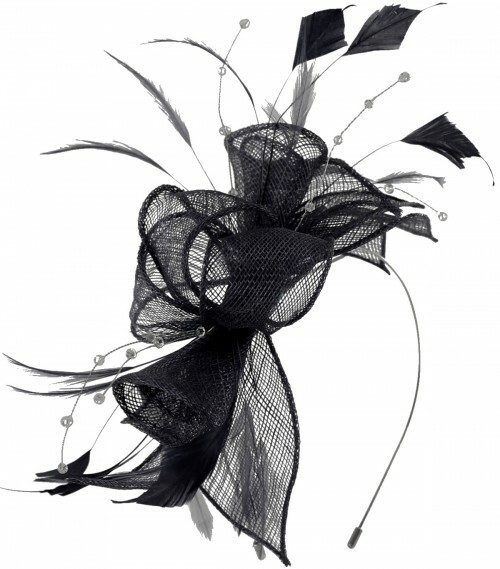 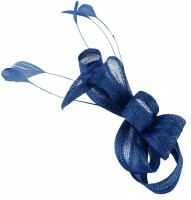 Max and Ellie Diamante Fascinator from Wedding Hats 4U. 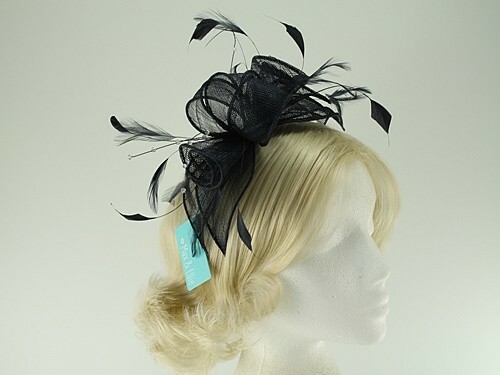 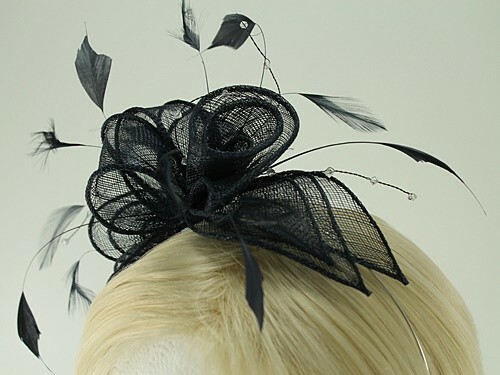 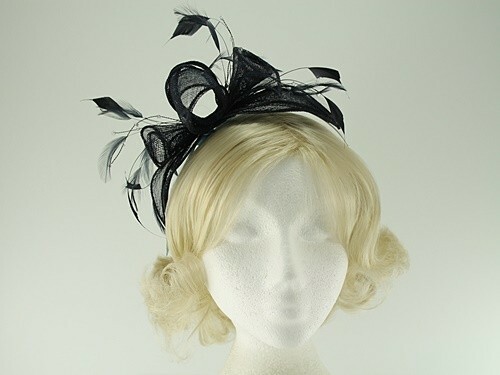 From the Max and Ellie 2019 Spring / Summer Collection, this attractive fascinator is made from sinamay with matching feathers and sparkling diamantes. 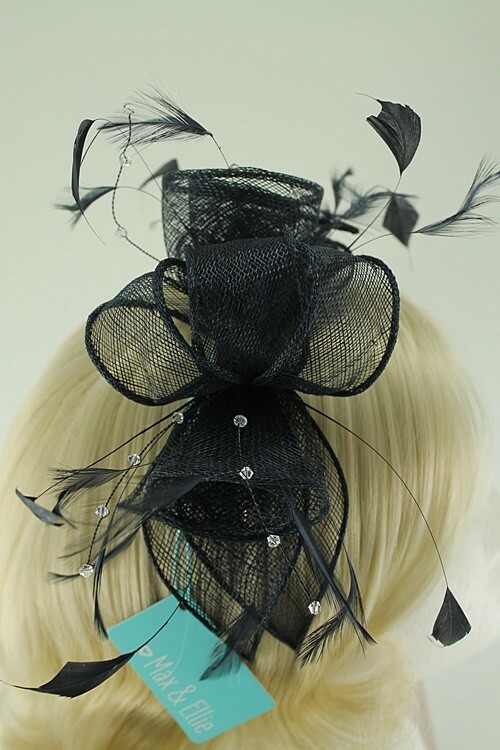 It measures approximately 23cm in length and secures to the head with a thin metal aliceband that is easy to hide under your hair. 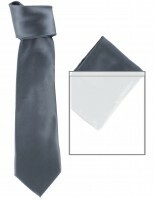 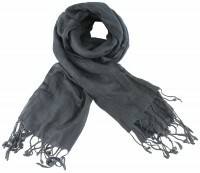 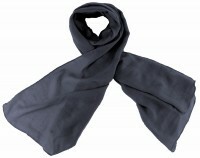 There are 5 available matching accessories for this item - e.g. 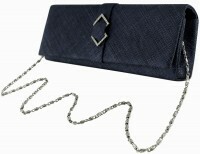 Max and Ellie Large Occasion Bag. 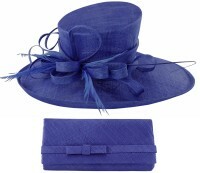 These are from the same collection and in the same colour. Check Recommended Matching Items on this page for more information.